About Us | Buy Gutter Parts Online | Front Street Manufacturing, Inc. Welcome to GutterWorks.Com, the web address for Front Street Mfg. Inc. My name is Dennis (Denny) De Nooy, and I started this small company in late 1998. 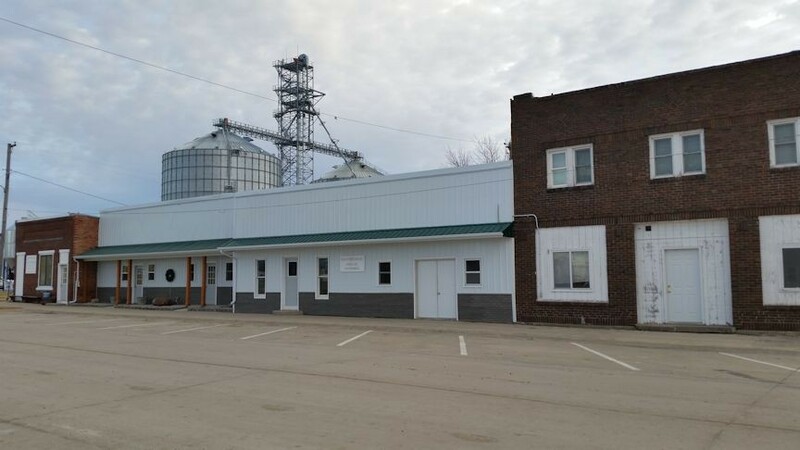 We began in one small building in the East Central Iowa town of Montezuma. We have since moved to a larger facility in Barnes City, Iowa and have grown to over 14,000 sq. ft. of production and warehouse facility in the very small town 8 miles south of Montezuma. I worked as a Seamless gutter installer for many years, where I gained knowledge and experience in the seamless gutter business. The business originated with a small product which I developed and patented called the "Handler". This steel, powder coated hinge allows you to raise and lower your downspout extensions during lawn maintenance. We have sold thousands of these inexpensive but effective hinges all across the United States. Many of our seamless gutter installation customers use them on every job. We also have housing developers requesting them on homes when they install rain gutters. Developing new useful products is what we enjoy and to date, we have developed 15 unique accessories which we manufacture and distribute to the gutter industry. This website was launched in February 1999 to promote our products to the gutter industry and others. We are pleased that there are upwards of 1500 pages viewed a day from viewers like you. We are happy that many Do-It-Yourself homeowners are using us to find information and hard-to-find items. If you don't find the item you're looking for, give us a call and we will check our database for other sources and so inform you. PRODUCT QUALITY: We have tested all our products under all conditions before we market them to our customers. 90% of our business is direct to the professional seamless gutter industry so quality is a must. PRICING: We take advantage of our low overhead to offer our customers the best prices on the highest quality gutter accessories whether you're a company buying in volume or a homeowner looking for one single product. SERVICE: We strive to process and ship all orders within one business day from when the order was placed. For the fastest service please place an order using our online shopping cart. Phone orders can be placed by calling 888-376-6871 or by fax (641-644-5206), email (orders@gutterworks.com) or you can print off an order sheet on our website and mail it in. We accept all major credit cards and have a brand new shopping cart! We personally answer all calls during business hours to help with any questions you may have.